Very few people who enjoy games wish to play fewer games. But folks usually have a relatively fixed amount of time available in which to play games; other obligations have a nasty habit of keeping time at the table in check. So there’s something to be gained from playing games quickly. But at the same time, generally people don’t appreciate being rushed. Oh, there are times people want a fast game and are willing to move things along as a result, but in general “hurried” is not a sensation one wishes to feel when gaming. A slow, pastoral pace isn’t required either, but most people view playing games as a relaxing activity, and don’t want that feeling disturbed. So what, then, can be done to cause games to finish faster, without making them feel rushed? There are a large variety of choices, which can be divided into two categories: tools, and techniques. Perhaps the single most useful tool is, unfortunately, _not_ a physical item, but the ability to do mental math quickly and accurately. 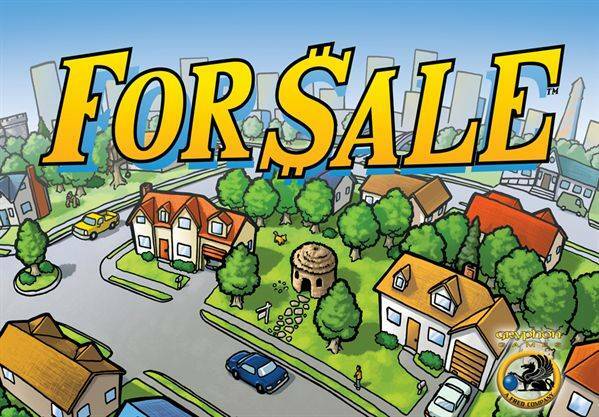 This doesn’t help every game – there’s no math in For Sale to slow that game down, for instance – but most economic games benefit, and a fair number of others as well. For example, imagine a game with a ubiquitous numbered scoring track. Player A has a score of 76, and scores 5 points for action Z and 4 for action Y, plus 3 for item Q and 7 for item P. If even just one player can count those points and quickly move Player A’s score marker to 95, that’s a small amount of time saved. If this is done at the end of 4 players’ turns for each of 6 rounds – you probably knock a few minutes off of the length of the game – without asking anyone to make their decisions in less time. 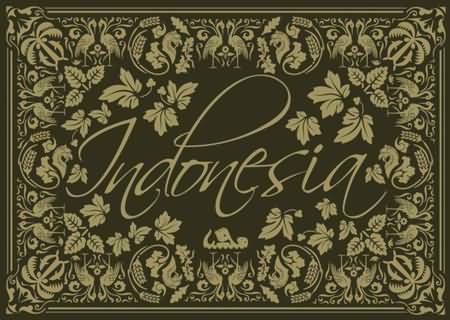 Math skills can have an even larger effect in an economic game such as Indonesia. Say that player B delivers 5 rice, two on his own ships, two (one on one ship, one on three) on Player A’s ships, and one (on two ships) on Player C’s ships. If each good is delivered individually, placing a five coin on each ship used, and crediting player B for the remnant in each case – that’s a lot of steps, and a lot of small coins being handed out, which will undoubtedly require players to trade small coins in during the game. On the other hand, if you hand A $20, C $10, and B the remaining $70 – that’s a lot of steps saved. And when a merger is proposed between player B’s five-size rice company and player C’s eight-sized spice company, having someone quickly announce that the minimum bid is $325, verify the ongoing bids, and split the winning bid of $403 immediately into $155 for player B and $248 for player C will save lots of time. Of course, not everyone is good at doing math quickly, and while there are many techniques for improving one’s math skills not everyone is interested in doing so. So what other tools are available? One of the most widely utilized is poker chips, to replace paper money. Often these can help, as they are more easily handled. But there are a couple of potential drawbacks to using them. First, even when everyone is familiar with the values unmarked poker chips can slow things down, and with even one person unfamiliar with the values the net result is likely to be a longer game. Even with marked poker chips, there are some games which are intended to be played with money hidden. Designers will sometimes choose to have players hide their money in an attempt to prevent them from knowing precisely what other players have. This doesn’t work to speed up all games, but for some groups it will definitely have an impact, and might be a good reason to stick to paper money. Another c ritical tool – if only in a limited number of situations – is a computer or approximation thereof. 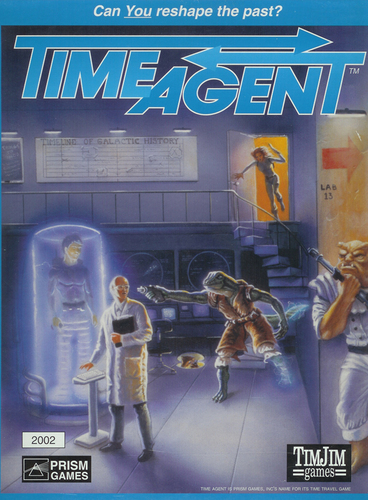 Perhaps the game where a computer has the most significant difference I’ve seen is Time Agent; there is an incredible application (http://www.boardgamegeek.com/filepage/22986/timeagent014-swf) that tracks victory and resource points with nothing more than a click on the associated event, and displays the information in a way that it’s easy for players to track. Another place where a computer can significantly speed play is where there are a large number of payouts which can be reduced by use of a spreadsheet. The classic example of this is 18xx, where a spreadsheet (http://www.boardgamegeek.com/filepage/33697/dividend-tracking-spreadsheet-with-joe-hubers-impr) allows players to be paid once at the end of a set of operating rounds, instead of 20 or more small payments throughout the round. That’s a number of tools that can be utilized to speed game play – what about techniques? One of my favorite techniques – albeit one that requires players who are familiar with the game – is the fast start. Essentially, you want to do _only_ those setup tasks absolutely required in order to get started. For example, in Saint Petersburg, you only need to distribute the phase start markers and shuffle and deal out the workers in order to start, so that’s all we do. While players choose their workers, we shuffle the other cards; at the end of the worker round we give people their money (minus the cost of their workers, plus their income). This actually has two effects; first, it cuts a few minutes off of the game directly. And second, it sets a tone for the game; most people play faster when others are setting a speedy pace. A related idea is to have players familiar with the game in advance. Even for a game that no one has played, if one player is very familiar with the rules, and others have at least looked over the rules in advance, the first play will get underway much faster, and take correspondingly less time. It’s also enjoyable to play a game with your group often enough that for some games everyone knows the rules well going in, though you might endanger your Cult of the New membership badge in the process. The next technique – and the one that can make the biggest difference – is for a faster player to take on the administrative tasks. 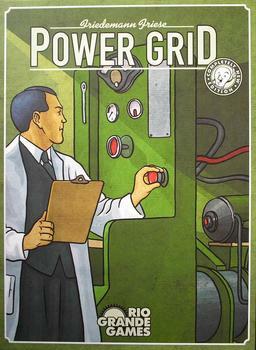 An ideal game for this is Power Grid, where two players can contribute. One puts out all of the new goods, while payers are being paid, and adjusts the power plants. The other pays out all of the players. This is the ideal step to speed up; it doesn’t rush anyone, and offers the potential for saving time every round. Another option is potentially more controversial; it can easily (and reasonably) annoy players. It’s actually an idea that came from my job, in microprocessor design. In order to speed program execution, computers use a technique known as branch prediction; when it’s not clear which instruction will be executed next, the processor takes a guess. If the guesses are correct often enough that the time saved by not waiting to evaluate the branch is greater than the time lost by having to back out from incorrect execution, the processor works faster. The same thing can be done, in a couple of different ways, while playing. First, if you see only a few viable options, you can list them; I definitely recommend being careful with trying this, as it definitely bothers some players. Second, when you see a clear choice for a player, you can have the consequences ready – the tile they need, the money they’ll earn, or whatever is required. This can be even more bothersome to some players, who see it as playing their game for them – even if you’ve simply guessed at what they will do. But these techniques do save a little time each time – and often over a lot of occurrences. When asked to _really_ push a game along, I will further give regular reminders to players as to when it’s their turn, and what action they need to do. This is probably exceptionally annoying, however, and unlike other choices actually starts taking away from the time players have to make their choices. Therefore, I don’t recommend it unless a game _really_ needs to be done in a fixed amount of time, and everyone is bought into the idea that finishing that particular game quickly is better than player some other game (or no game at all). So what difference can this make? 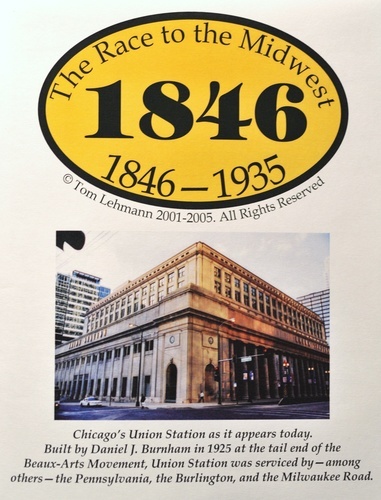 1846 has a listed play time of four hours; Tom Lehmann, the designer, notes that the game can be played by a brisk, experienced group in three and a half hours without a spreadsheet, or as little as two and a half hours with. We are consistently playing the game in less than two hours, and when really pushing have played in less than 90 minutes, including setup and cleanup. But 1846 is a game that offers lots of options for speeding play – more typically, the applicable tools and techniques will cut 10-20% off of the length of a game. The secrets to Huber-Speed revealed! Nice write up and something that a lot of us will find useful. I find myself doing some of the techniques regularly (like reminding people that it is their turn, but I think that’s because I play with more ADD gamers). You didn’t solve the most crucial problem that slows down the games I play in – some people just take forever. I guess the “solution” to that is to just play with other people……. Either way, good article. One thing I notice that individual players can do to help speed the game along – Think about your move while it’s not your turn. If you’re playing Power Grid (or even something as quick as Dominion) and you’re daydreaming until the turn passes to you, then you stop to think about all your options, the game will take forever. Princes of Florence has a lot of down time between turns, but outside of choosing which bonus / profession card to pick, there’s really no decisions that have to be made on the fly. If you can plan out what you’re going to do on your turn before the turn comes to you, you can knock a significant amount of time off the gameplay. Great write up on your techniques Joe! One aspect of all this that is worth mentioning is trust. The game will go much, much faster if the players who are not as quick with the math are very trusting of those who are. This obviously has to be earned, but I’ve been stuck in games where I tracked the moves and victory points earned and just moved the marker ahead as each player completed there turn, only to have players routinely back track and check for themselves. We all make mistakes, but with this situation the time is just being added to the game. A more significant aspect of this phenomenon is when a player does do their planning on their own turn. A perfect example was a play Joe made Saturday in 2038. Rather than explicitly counting each of his ship’s moves, which cargo was being picked up, how much money he collected, how much he spent, he was able to simply announce, “I collect 20 and make this claim.” A two minute turn done in five seconds, except this strained even that group, so in our un-trusting way we made him spend another twenty seconds explaining. The last technique I can think of is unmentioned by Joe above. The recurrent pattern. This time saver is a big help in some economic games and absolutely essential to American Megafauna at least. It is a variation on the predictive behavior model Joe mentions above, but an even bigger prediction that the particular decisions you made last turn are still valid because no inputs related to them have changed, thus you don’t need to repeat that part of the turn and can simply extrapolate the same results. In an economic game it might be collecting the same income. In AMF it extends to number of pieces on the board, results of predation, priority, etc. In fact in that game the decisions largely consist of when to disrupt the balance of repeated iterations of the turn, and painstakingly playing out every phase of every turn would add hours to the play time. The last advice is that every player can contribute by having an attitude that they will likely make mistakes, but have fun doing so. I’ve often seen very long games when players try to play very well on their first play of a particularly complex game. Just remember that you learn far better from repeated experience and will know more from playing that monster game twice poorly than once with a mediocre effort. @ Brian – I agree that trust is the big thing here. My local group has been pretty good at getting games played at a rapid pace (though definitely not at Huber-speed™!) One of the big reasons for this is that we trust the others to play correctly and honestly. A recent game of Mines of Zavandor (review coming soon) was made much quicker by allowing each player to make all upgrades by paying for them on their own and simply announcing what had been done. Merkator is also quickened with a similar trust – when I go somewhere, the other players traveling with me simply pay the time tokens to me and take their actions while I’m taking my turn. While each of these events maybe only saves 60-90 seconds, over the course of the game, it saves a LOT of time. With Joe, even if he were to make a mistake now and then, I’m confident that the mistakes would have no tendency to be in his favor. I’m willing to tolerate some amount of unbiased error to reduce playing time by half. One of the truly amazing things about playing with Joe is that many people don’t realize how quickly they’ve been playing until they look at their watches after the game is over. They just don’t have any sense of being rushed. That’s five jobs for a game that’s often played with five people. Few things cause me to stop playing with someone quicker than analysis paralysis. If someone is taking a while because they don’t understand the rules well, that’s fine. But if someone is taking forever because they are sitting there going over every single possible move in their heads before they play, I’d as soon not play with them at all. I think more games should include hourglass timers, personally. They’re cheap and simple and when they’re included as part of the game, you don’t have to insult or bother another person because they’re taking forever. If they run out of time, that’s that. Unfortunately, most multi-player games do not have an easily-enforced penalty that can be applied to a player who takes too long. Even skipping a player’s turn entirely does not work for many games due to the fact that this may penalize third parties. There are a number of games that can be sped up by resolving things simultaneously. For example, when Caylus came out we sped up the game considerably by each resolving our spaces along the road simultaneously–only pausing to go in turn order when it actually mattered because you needed to see how player A resolves X before you can decide how to resolve Y.
I think some players who think they’re the fastest in town are quite simply deluding themselves. Put a stopwatch on them and you just might find it proves it. Often player speed is a matter of perspective. Waiting for another player to move, especially in games where there’s limited planning between turns, is always going to feel longer than your own turn. This is only exacerbated if your knowledge of the rules and experience with the game far outweighs your fellow players. Never fear, in subsequent plays of the game (if players are still familiar with the rules), you will see your waiting time substantially diminish. I think our first game of Automobile took two and a half hours. We shaved an hour off that on the second play. Then there’s the question of individual move times and aggregate move time. I don’t mind if I (or someone else), takes a little extra time on an important individual move, as long as the aggregate time isn’t blown out. I’ve played Paths of Glory with a chess clock and a two hour limit per player and it’s an excellent way to play. There’s a points penalty for going over time, but the real benefit is that it just keeps the game ticking over at a respectable pace. The clock doesn’t lie and nobody is fooling themselves into thinking that they’re a faster player than they are. As long as you’re within your aggregate time, you have the flexibility to pick and choose which turns you need to think a bit more about. Of course this really works best when all players are familiar with the rules, but in a friendly atmosphere the odd timeout for a rules clarification isn’t a problem. I struggle a bit with this article because of the very reason I prefer board games over arcade games! Arcade games leave little time for thought. Those with the quickest reaction time, not necessarily the best strategy, generally win. “Strategy” games, however, by the very definition of “strategy,” imply thinking and planning rather than speed of execution. And it is the processing of various alternatives required to execute a great move that I enjoy in a game. While it is true that some process their moves more quickly than others, it should not be the speed of the processor that determines who wins a “strategy” game! Leave that to the arcade game. Occasionally I get the impression that some players want to turn a strategy game into an arcade game! That can ruin the whole experience of board-gaming for me – certainly if I continually feel rushed by others who are impatient! I seldom hold games up while I think through a knotty situation, even if I have to make a less than optimal move, but when I feel “pushed” or “rushed” by others, I feel THEY (not me) are playing the wrong game! While I hate extended down-time, twiddling my thumbs while someone else thinks (AP) – especially when the nature of the game allows planning while others move – I do enjoy the exercise of the mind in processing my move, and thus, seldom resent others taking a bit more time to move. Frank, I too like strategy games, and like to play as many as I can. Simple speedups like splitting the administrative duties in Power Grid are exactly the kinds of things that increase the number of strategy games I get to play. But for the most controversial ones Joe mentions (his word), nothing suggested reduces thinking that I can see. Upon further reflection I redact the opening statement in my previous response to Joe Huber’s fine article! It is NOT the article that bothered me at all. In fact, I quite agree with the intent of the article – that there are numerous subtle things one can do to speed up game play, without making slower players feel rushed. Joe’s second paragraph addressed my feelings perfectly! Just to amplify Frank’s comment: using the plethora of Joe’s and others’ methods to speed up a game actually allows more (guilt-free?) time for crucial decisions. We have seen Joe agonize for a few minutes over a move (“do I really need to start a fourth company?”), yet the game still ends as quick as any other. Great tips for speeding up play. Typically many of these are followed in the games we play. The chess clock idea works with multiplayer games too. You simply agree on a number of minutes, say 2, that each player will have max to execute their turn. Each side of the electronic clock is set to countdown from 2 min. and it resets back to 2 min when the button gets hit. The only difficulty with this system is agreeing on the penalty for running out of time. I find that I am more accepting of slow play than others because I prefer stronger play to faster and weaker play that lead to unsatisfactory outcomes. Occasionally though I do become gripped by indecision! When players feel a game is taking much longer than necessary it does decrease enjoyment. One aspect that has not been explored in this discussion is speeding up games by modifying the game itself. This can be by not using optional rules or forcing the end sooner. I need to explore this with Avalon Hill’s Civilization. I think I enjoy the game but I’m sure it could be 25% shorter and still have the same satisfaction. The game allows for a faster ending by era, I’m just wondering what impact that has on strategy for the different powers. I recently won a game that I would have lost had it ended one era sooner! The few times I have been fortunate to play with Joe, I’ve observed that the last adjective I would describe his games is “pastoral”. Imagine Lucy at the chocolate factory, except with meeples. I find that games groups who are familiar with each other’s play style develop their own acceptable speed. Mt group has been playing games together ta the same table for nearly 18 years, and accepting that time is the biggest barrier to more games being played, I think that there is much to be said for the comfortable speed that a regular group adopts. Of course no-one likes a slow coach, and when you play with unfamiliar people you may get stuck with a tediously slow player, so perhaps a timer as well as the efficient methods that people have suggested can be used as a deterrent. I recently played a 5 player game of Agricola with the Moors addition in 75 minutes using a timer. You then need 30 minutes to calm down and talk over what happened, but the feeling was generally positive. and 3) **trust** that other players won’t make mistakes while you aren’t watching them. I play with a wide variety of players — some who are glacially slow and others who are lightning quick. The best thing I can do to fit in is to try to observe myself “objectively” — am I faster or slower than the players I am currently playing with? If I’m slower, I try to speed up. If I am faster, I try to find some administrative task to do to speed up the game (and occupy myself), such as banking, pre-shuffling cards, etc. without criticizing the other players. I wish that all people could understand the very real dangers posed by carbon monoxide poisoning.